Ryan Pierse/Getty ImagesHector Herrera of Mexico ran over seven miles in the win over Germany in El Tri’s opening World Cup match. 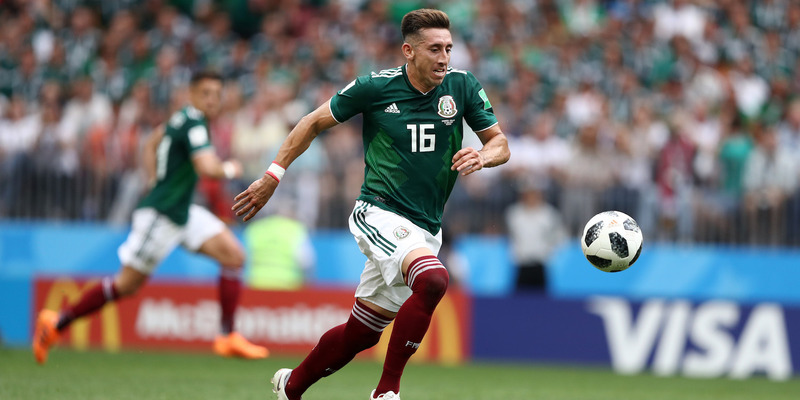 The Mexican National Team gave fans one of the most exciting – and surprising – matches of the World Cup so far, with a thrilling 1-0 victory of reigning World Cup champions Germany. For Mexico, the result was hard earned, particularly from an endurance standpoint. 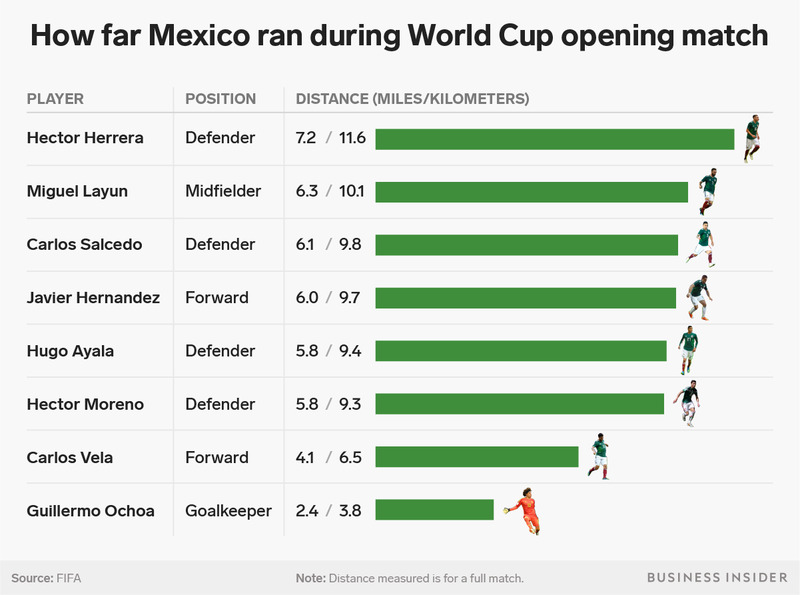 All but one of the outfield players for El Tri who started and went the full 90 in the match ran over five miles during the match, with defender Hector Herrera notching over seven. Even Guillermo Ochoa, the team’s goalkeeper, ran over two miles! Although it is only a one-game sample size, the numbers show how physically demanding a soccer match can be (in fact, Germany’s players, in total, actually ran four kilometers more than the Mexican team’s total, according to FIFA). So this chart is a good thing to keep in mind the next time fans of, say, baseball, insist that soccer is not a sport.